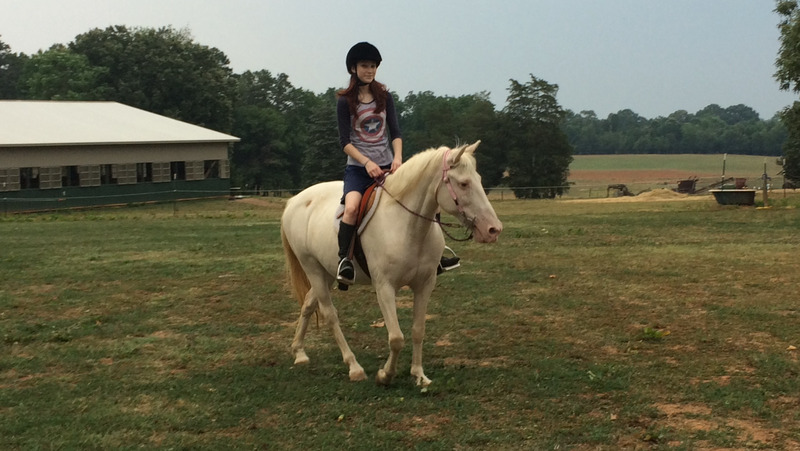 UPDATE: Frosty is doing great under saddle. She has turned into a friendly horse. 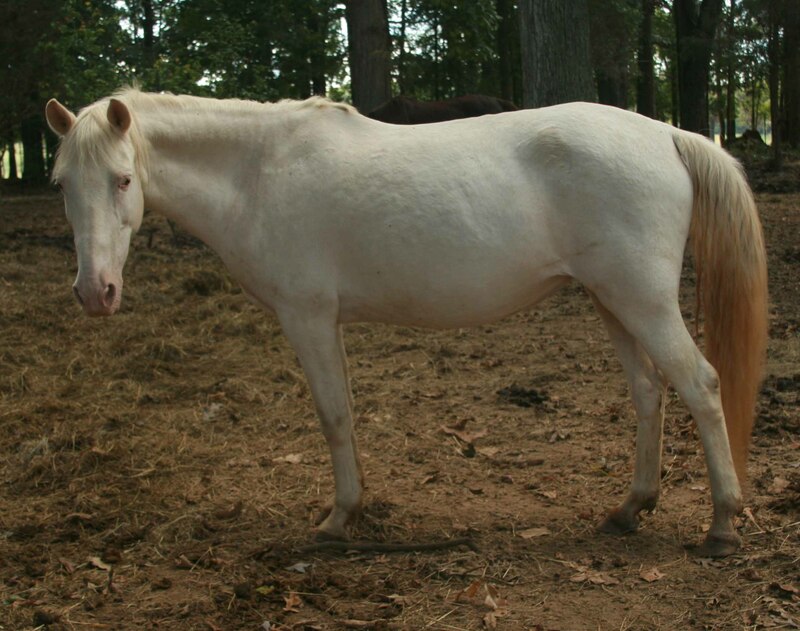 Rescued June 24, 2013 Frosty is a little 15 year old, pony-sized mare with a silvery white coat and beautiful amber eyes. She was rescued by Iredell County Animal Control along with several other horses. 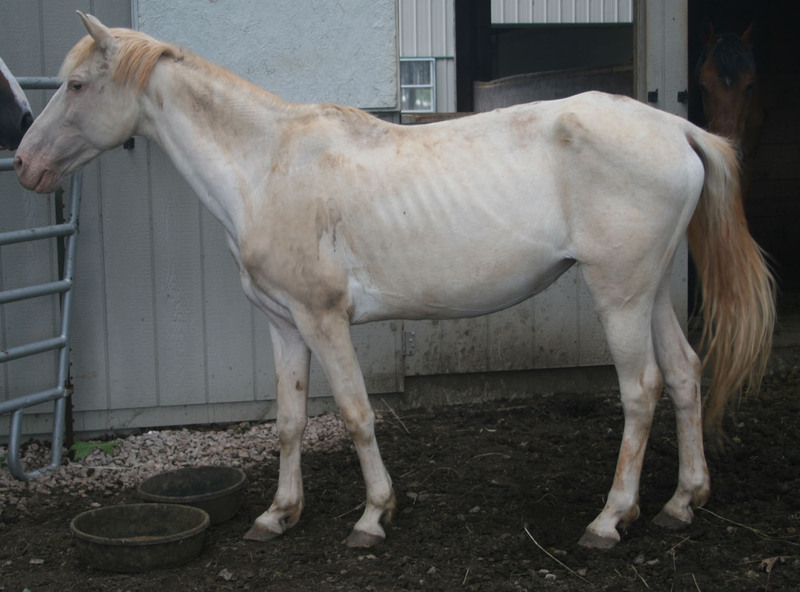 Animal control was able to place the other horses in homes and HPS agreed to take in Frosty who was the most starved of the group. As is often the case when we get horses from animal control, little is known about Frosty's former life or her training. She is still very untrusting of people so we will work to calm her fears. Patience is needed for the smallest of tasks with this little mare whether it is putting her fly mask on her to protect her pink face from flies and sunburn or putting on a halter. We are also working to teach her to stand quietly for the farrier and to approach her in the field. It was wonderful to see her return to her full weight in such a short period of time! This is a wonderful indication of a horse in good health. Frosty has joined our little guy herd and seems to be head mare, Shasta's, second in command. It is humorous to see the two white mares moving the other mares about and poking their heads into the condos of our new arrivals to great them. It seems as if they are telling the new horses that they have nothing to fear at the sanctuary. Their bellies will be full and they will be treated with kindness.